Soprano Alexandra Smither is making a name for herself in the worlds of both old and new music. With a vocal technique described as “beautiful, elegant, and masterfully manipulated” (Schmopera), she was named one of Canadian Broadcasting Co’s 2017 “30 Young Hot Classical Musicians Under 30”. She was the grand prize winner at the 2017 Eckhardt-Gramatée Competition, earning both first prize and the prize for best performance of the commissioned work, Nicole Lizee’s “Malfunctionlieder”. She made her triumphant debut with Houston Grand Opera as Younger Alyce in their production of Tom Cipullo’s Glory Denied, in which she “imbued her solo aria “My Darling Jim” with heartbreaking tenderness” (Texas Classical Review). 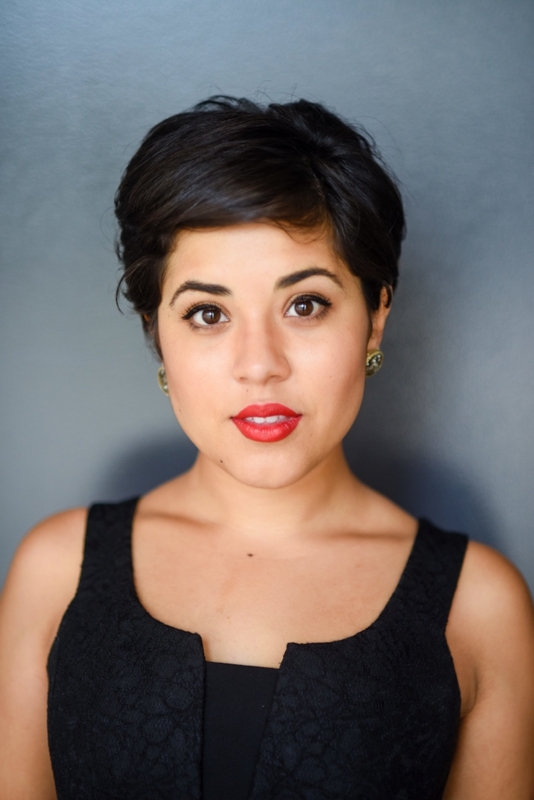 She returned to Houston Grand Opera in May as Diana in Cruzar la cara de la Luna. Her 2018 New York debut at the Baryshnikov Arts Center of Luciano Berio’s “Sequenza III” called “an extraordinarily adept soprano, one who can shriek, gurgle, cackle, mutter, gesture, and declaim as well as sing beautifully” (The Threepenny Blog). As a 2017 Soprano Fellow at the Tanglewood Festival, she made her Seiji Ozawa Hall debut at the Tanglewood Festival alongside Emanuel Ax and Bill Hudgins in Schubert’s "Der Hirt auf dem Felsen". The festival also brought performances of selections from Berg’s Sieben Fruhe Lieder with the Tanglewood Festival Orchestra, recital of French song, coached by Roger Vignoles. and Bach cantatas under the baton of John Harbison. She returned for her second fellowship at Tanglewood in the summer of 2018; highlights included the premiere of Theo Chandler's "Two Taylor Songs" which were written for her, and the premiere of a new work by Oliver Leith under the baton of Thomas Adès. Additionally her “high bright voice embodied Max’s shrill ravings to perfection” (Boston Musical Intelligencer) in a memorial performance of Oliver Knussen’s “Where the Wild Things Are”, under the baton of Stefan Asbury. Ms. Smither has held fellowships at the Banff Centre for Arts and Creativity, Songfest, Fall Island Vocal Arts, The Song Continues at Carnegie Hall, and Music Academy of the West. 2018 brought diverse performance from the Metropolis New Music Festival in Melbourne to early music ensembles Ars Lyrica and Emmanuel Church. 2018/2019 brings performances with BARE Opera in New York, the Baryshnikov Arts Center, the Wyoming Symphony, a recital tour of Japan, and the inaugural tour of PushBack with bassoonist Ben-Roidl Ward.